Looking for a low spinning driver? @Titleist is extending the TS driver family with the addition of the 430cc, ultra-low spin, TS4 driver. Hitting both the USGA’s conforming clubs list and the PGA Tour today is a bit of a surprise from Titleist. 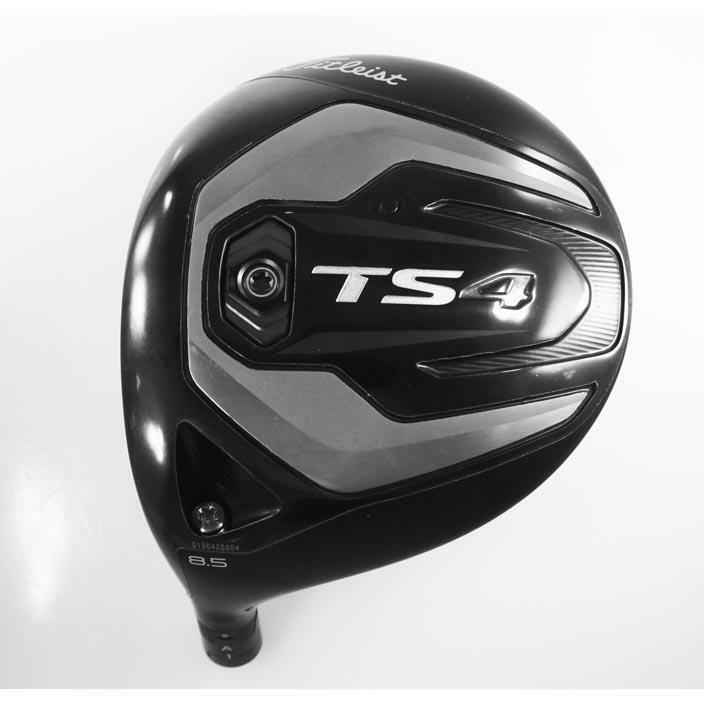 Here it is, the TS4 Driver. Let’s start by answering what I assume will be the most frequently asked question. The TS4 is not a replacement for either the TS2 or the TS3 that were introduced last fall. It’s what golf companies call a line extension, and in this case, it’s about extending the fitting capabilities of the TS line to include golfers seeking ultra-low spin without sacrificing speed or distance. As you’d expect, a good bit of TS4’s technology carries over from the original TS offerings. 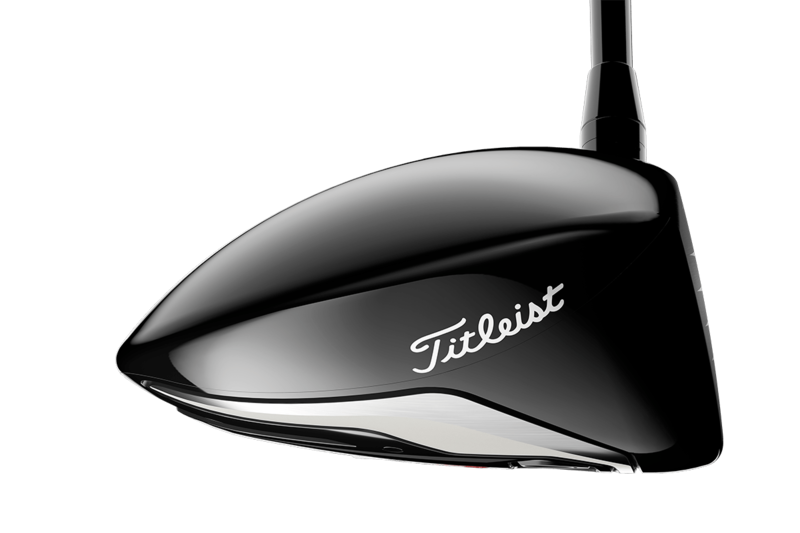 We won’t rerun through all of the particulars, just understand that the new model also features Titleist’s Speed Chassis which includes an ultra-thin titanium crown, and a thinner (and faster) Radial VFT (variable face thickness) face. If you’re looking for a point of comparison with a previous Titleist model, your best bet is the 915 D4, which was part of Titleist’s MOTO (Made Only To Order) program. 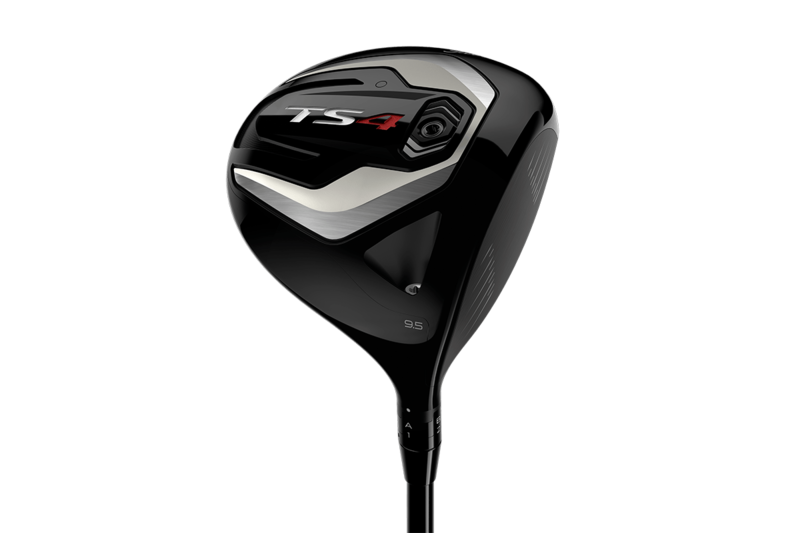 Unlike the D4, the TS4 will enjoy the full benefits of full retail release, which means instead of having to MOTO your way into the new model, you’ll be able to demo and purchase (if you choose) the TS4 at your local Titleist dealer. 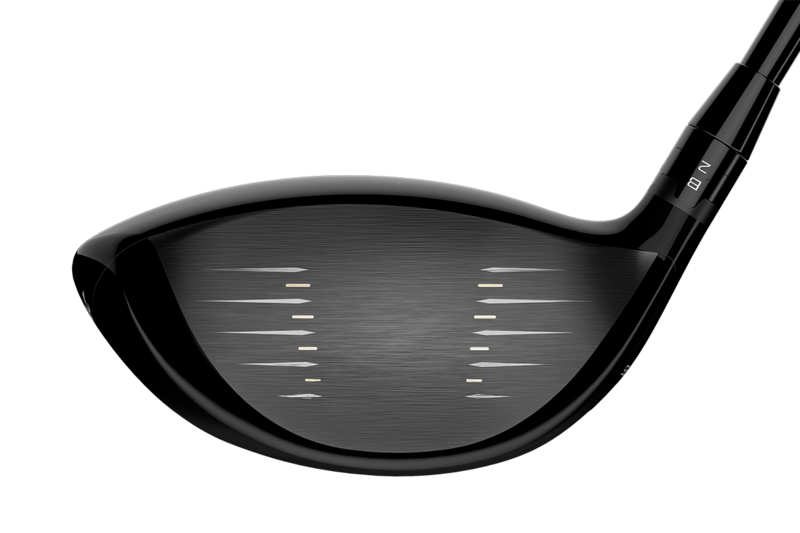 Like the 915 D4, the TS4 will be the most compact offering in the Titleist driver lineup. 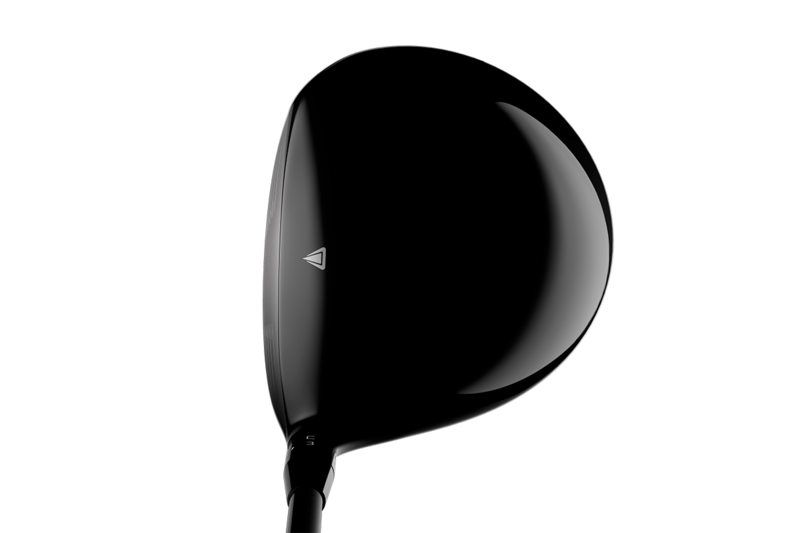 At just 430ccs, not only is it compact by Titleist standards, it should prove to be the most compact driver on the market from any major OEM this season (TaylorMade offers a 440cc variant of the M5). According to Titleist, the smaller footprint gets you a center of gravity location that’s 5mm more forward than that of the TS2 (note the forwardly placed SureFit Flatweight). For those who follow along with our annual CG charts (2019 update coming soon), the projection is a driver with a center of gravity location roughly 1.5mm above the neutral axis. What we’re talking about is a CG location that’s neither excessively forward (no need to Loft Up) nor excessively low, but has still been bumped enough to drop spin by +/- 300 RPM compared to the TS3. Who is the TS4 designed for? Designed to be a spin killer, the TS4 is for the guy looking to…you guessed it, cut spin. The conventional wisdom is that small, sub-460cc designs are for better players seeking enhanced workability. And while that’s certainly one category of potential TS4 player, it’s not the only one. There you have it. If you generate more than 2800 RPM of spin with your driver, you might want to look at the TS4. Titleist predicts only about 10% of PGA Tour Staff will move into TS4. And while TS4 isn’t intended for the meaty part of the fitting bell curve, the adoption rate is expected to be slightly higher among Web.com and college players. We’re talking about a segment of up-and-comers not radically different from PGA Tour bomber Cameron Champ. It’s a group of guys who generate a ton of head speed while hitting a degree or two down on the ball. These guys aren’t distance challenged in the least, and so their coaches aren’t trying to change their swings to hit up on the ball and optimize for the launch monitor. For golfers in this category, the TS4 provides an option for cutting spin that doesn’t’ require changing impact conditions. The final group of potential TS4 golfers is perhaps a bit more surprising, though perhaps not as much if you’ve followed along with Most Wanted Driver testing over the years. There is a group of golfers – and it’s not a small group – and it’s not necessarily a high-speed group either – that can get, for the lack of a more technical term, somewhere between a little and extremely swipey with their swings. I’m talking about guys who hit down and across the ball, and in doing so, generate an excessive amount of spin. On the extreme end, we’ve seen golfers generate more than 4000 RPM…with a driver, and while I understand where the screams of “just take some lessons” come from, the reality is that some guys are plenty content to swing their swing and play their game. The TS4 might help that guy add a little bit of extra distance as well. Isn’t Forward CG Less Forgiving? Technically, yes. More forward centers of gravity result in lower MOI drivers. In this case, we’re talking about a 14% hit compared to the TS3, though it’s worth noting that the new model offers higher MOI than the 915 D4. Here’s where things get interesting. Luttrell says that for higher spin players, spin itself is a more significant factor in distance, or more accurately, the lack of distance. 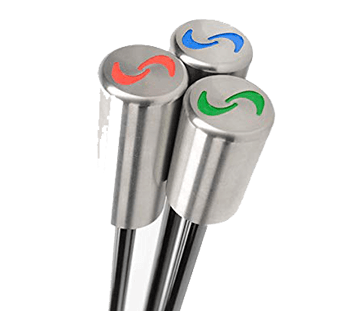 Golfers in this category will often experience not only greater distance, but also more repeatable distance because of the lower spin rates offered by TS4. 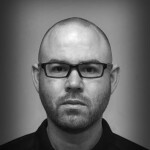 I suspect some of you reading this might find that notion odd, but it’s similar to the story we heard from Callaway when the Epic Flash SZ launched, and it’s something we observed during Most Wanted testing as well. There were a few drivers, most notably the SZ, for which the correlation between ball speed consistency (an indicator of forgiveness) and distance consistency wasn’t what we would expect. Short story, the drivers were consistently long, despite greater than expected fluctuations in ball speed. The larger point here is that while a spin killer like the TS4 isn’t for everyone – Titleist believes that the overwhelming majority of golfers will better fit into the TS2 or the TS3 – its potential to be a strong performer extends beyond the guy looking for more workability. For high spin golfers seeking to trim a few hundred RPM, the TS4 will be worth a look when it hits retail in late June. The TS4 includes Titleist’s SureFit hosel adjustability and will be offered in discrete lofts of 8.5°, 9.5°, and 10.5°. So sorrrry Canada, only the 9.5° available for left-handed golfers. Officially the stock shaft lineup is unchanged (Project X Even Flow T1100 White 65 (Low launch and spin), HZRDUS Smoke Black 60 (Low/mid launch and spin), TENSEI AV Series Blue 55 (Mid launch and spin) and KURO KAGE Black Dual Core 50 (High launch and moderate spin), but there’s a chance (perhaps even a likelihood) that the shaft lineup will expand prior to launch. If I remember correctly, Titleist offered a 430cc Japan only driver many years ago. I am an old (74), short (5’7″) golfer, and use a 43½” shaft in my Optiforce 440cc driver. I am definitely interested in any lower volume driver. The TS4 looks very interesting. Esthetic is important in confidence. Titleist forward weight low spin driver, wow, welcome to the party. Where have you been? As a LH high spin golfer, this excites me! Correct me Tony if I’m wrong, but this is one of the only less than 460cc driver offerings in LH?? I would have loved to purchase a TaylorMade 440cc driver, but no love for LH golfers. Even though you apologized for it only being offered in 9.5* in LH, I don’t know what other company offers this? If you wait just 12 months you can get the all new ts5, ts6 and ts7 guaranteed extra 25 yards! It’s great to see Titleist following in TMs footsteps with a smaller sized driver. I much prefer the look at address of a driver head with less than 460cc. And I know what you’re gonna say, but do your REALLY need maximum forgiveness? I think it’s overrated. Will have to check out the TS2 AND M5 Tour. Um, that would be TS4 … D’oh! I don’t enjoy the front weighted drivers I have tried and will skip this one. I need the forgiveness of the back weighted drivers. I tried this years drivers and chose the Epic Flash and love it. Unneeded and unwanted in the marketplace. If Titleist thought this was an important line extension then it should have come out with the TS2 and TS3. I don’t think Titleist is the type of company to release something without purpose as indicated in the article. They know the TS4 won’t be for every golfer, and therefore you should feel no pressure to buy it. Bought the new Mizuno ST190. No need to buy this iteration. Is Titleist doing the same marketing as TaylorMade with new and improved models each year? Is that where they’re going with their irons and wedges? Not even close if you actually read the article. The TS4 is a “line extension” of the current TS lineup offering even lower spin in a more compact headshape. It essentially serves as a replacement for the 915 D4 driver which would now be somewhere in the neighborhood of 4 years old! Quite different from Taylormade or Callaway. Hey Max, did you happen to test out the TS3 in comparison to the Mizuno ST190 when you were in the market? Didn’t have the opportunity to hit the ST190 but I love the TS3. From what I gather; ST190 seems slightly lower spin. Both having the best looks/sound/feel in the industry. I am launching too high with TS3 set at 7.75*. Mizuno has the capability to go to 7.5* or 7.0* in the 190G. Tour only. The demand for an 8.5° in LH isn’t big enough to justify the cost of a full production run. Yes, southpaws North and South of the 49th are at a disadvantage. Mizuno did the same. Tour Exotics have virtually shut the door on lefties hands. Too bad. I think I’m going to hold out for the TS5. This one looks like a true players driver. Something for the guy or girl that finds the sweet spot every time. I’d love to have a couple whacks. Im sure that when you do catch it pure, you’ll have a heck of a drive. Excellent launch by Titleist. Spin control is ever important when considering distance AND stability. However, work with a certified fitter to determine if you are a good candidate for this driver. As with ANY forward CG driver, you may lose ball flight stability if your spin drops too low, causing “knuckleballs” and poor flight quality. These TS drivers ooze precision and generate great ball speeds. Definitely give them a swing when considering a new driver. I appreciate the logical information here and no BS. This thing looks sweet and I’d be excited to check it out.